According to Klook’s 2018 events survey conducted in 12 key markets worldwide, the traditional travel booking process has been evolving rapidly. 63% of travellers surveyed said that they book things-to-do before flights and accommodations. In India, 52% of travellers book things-to-do before flights. This differs from the traditional thinking that travellers start their shopping journey with flights, then accommodations, and lastly in-destination activities. Such behaviour reinforces Klook’s position as both a booking and discovery travel platform. 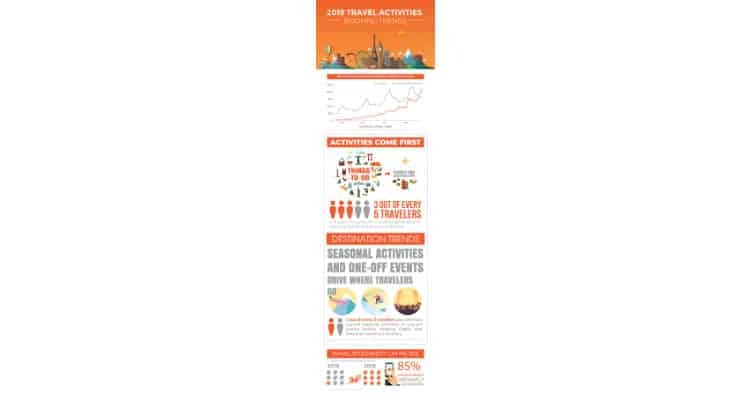 Klook’s 2018 events survey also showed that many travellers now plan trips around events. Out of 2000 travellers surveyed, 54% said they selected a travel destination because of a seasonal activity or event, such as skiing in Canada, sakura-viewing in Japan, major concerts, or sports games. In India, 52% of travellers plan trips around one-off events. Products such as Jay Chou Concert exclusive priority tickets and cherry blossom tours in Kyoto on Klook position the platform well in capturing this traveller preference. Craving authentic experiences and a sense of adventure, modern travellers prefer flexible itineraries that leave room for spontaneity. Instead of booking every activity ahead of a trip, travellers now book key events, then decide on the rest of the itinerary on-the-go. Klook’s booking data also finds that the same-day booking rate has increased nine times from 2016 to 2018. To enable this sense of discovery, Klook provides a seamless mobile experience where 85% of its bookings can be confirmed instantly.